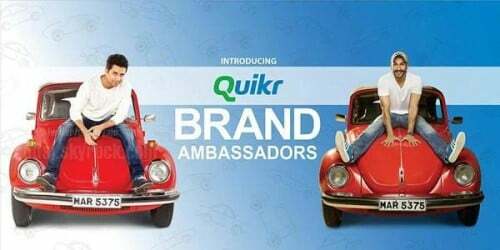 Online cross-category classifieds platform Quikr announced Surya as brand ambassador of south.Suriya will be seen in Quikr’s upcoming advertising campaign which will be launched later this month. Meanwhile Ranveer Singh will appear in ads for the brand’s south market. Suriya is always the choice for leading companies as Advertisement model as he has a huge fan base in south including family and child audience. “It is my pleasure to be associated with Quikr, a true ‘Made-in-India’ product that is constantly innovating to make buying and selling as easy and simple as possible. From the right jobs to the perfect home, to the very furniture for that home, Quikr has something for everyone. To me these qualities really hit home and I am delighted to be a part of Quikr’s growth story,” mentioned Suriya.